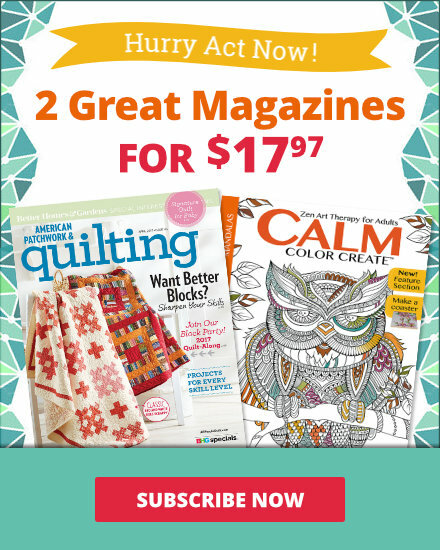 See the featured projects and web-exclusive patterns from the Quilts and More Spring 2015 issue. 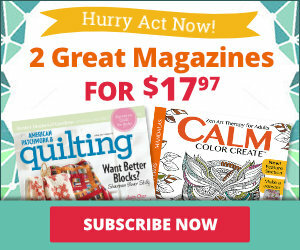 The Spring 2015 issue of Quilts and More is on sale from February 3--April 21. Romantic florals and faded shades of yellow and coral combine for a sweet spring table topper. Try a simple method to make the chevron unit for a striking accent row on a pieced tote. Turn precut 10" squares into cute pot holders that make great gifts! Tuck a recipe into the pot holder pocket to give the recipient culinary inspiration. Learn how to layer, sew, and twist fabric to create a stylish bag to carry your cell phone. Scrunched squares of classic blue prints add a fun twist to a traditional pillow . Stars float on a background of bright white. Add interest with gray dot triangles corners. Punches of bold prints and pops of bright color combine for an eye-catching kid’s quilt and matching doll quilt. Soft plush fabric on the back makes it super cuddly. Blend the best of old and new. An iconic key motif and solids in contemporary hues make a dramatic statement in a playful throw. Solid color hearts stand out against a black background on this throw pillow. 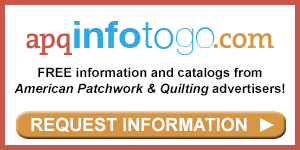 Use variegated thread to quilt a stipple stitch for an interesting pop of color. Jump right in and try your hand at wool appliqué. The perfect recipe for a spring-inspiredquilt yields an eclectic mix of prints and florals. As you travel, keep track of cosmetics, sewing supplies, or jewelry in a trio of drawstring bags. 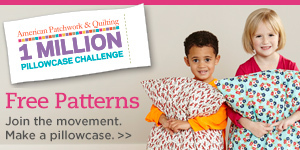 Combine Flying Geese units and triangle-squares to fashion cheerful decorator pillows in two sizes. Geometric patterns in springtime colors take center stage on this delightful pillow duet. 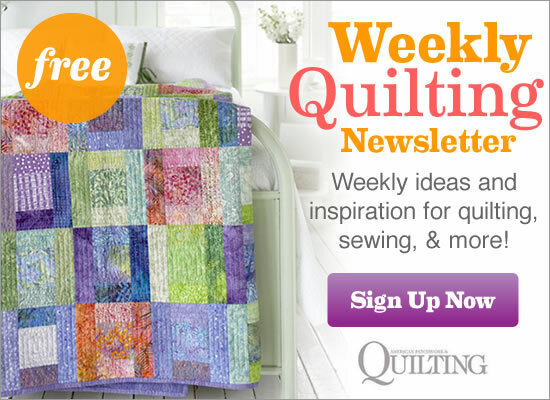 A quilt top can be assembled in two hours when you start with a printed panel as the center. Achieve sharp points by foundation-piecing each block. Don’t worry about loose threads or frayed edges. With the “burrito” method, a pillowcase with no exposed raw edges is easy to make. Pot holders are classic kitchen essentials. They serve up both safety and charm when made with your favorite fabrics.